City planners across Europe are increasingly aware that modern urban transport systems must deliver more than people from A to B. Adequate sustainable mobility options in urban centres can greatly reduce noise and air pollution, lower energy usage, improve citizen health and enhance quality of life. Achieving these benefits requires careful planning, the involvement of a range of relevant experts and stakeholders, and an understanding of the wider goals of the municipality. One of the most effective ways of bringing these disparate strands together to form a unified vision is through a Sustainable Urban Mobility Plan (SUMP). SUMPs build on the existing regulatory and policy frameworks in a municipality, and integrate sustainability, citizen participation, intermodality, and more. In recent years the concept has gained popularity across the continent, with a large number of cities working to integrate this concept in their daily transport practices. This popularity can partly be attributed to the work of EU-funded projects designed to facilitate SUMP implementation and partly due to SUMPs capitalising on the cultural shift in Europe towards a more sustainable mode of living. 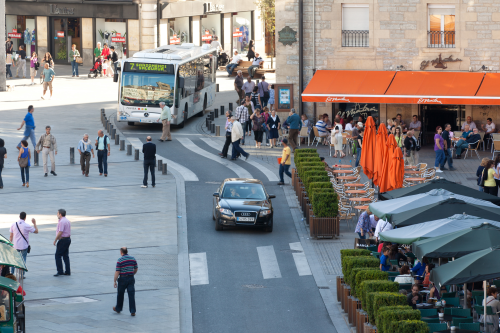 The European Commission has strongly promoted SUMPs for some years, noticeably through the Action Plan on Urban Mobility (2009), the Transport White Paper (2011) and latest in the Urban Mobility Package (2013). The transport field is one of rapid change, and what constitutes best practice is constantly evolving. To be truly effective urban planners must stay up to date with the latest trends in the field, and be able to integrate this knowledge into their municipalities’ SUMP. Recognising this, the European Commission is lending its support to the 1st European Conference on Sustainable Urban Mobility Plans, set to take place in Sopot, Poland from 12 – 13 June 2014. Titled “Planning for a liveable city”, the conference is open to all urban mobility planners and practitioners from around Europe. Experts will present the latest developments in sustainable urban mobility planning, workshops will be held on topical issues in urban mobility, and participants will have the opportunity to network with a range of experts. Parallel sessions will explore citizen participation, auditing procedures, and the best methods to evaluate SUMP impacts. Further sessions will examine the realities of implementing SUMPs in a time of austerity, and ways to integrate various transport forms and modes into a cohesive plan. Participants will also have the chance to get to know the various European projects operating on the topic, exploring what each can offer at the local and regional level. The conference is free of charge, though registration is required. More information is available in the conference programme.